Don’t miss the biggest day on the horse racing calendar! Experience live racing at Canterbury Park and the broadcast of the Kentucky Derby! The day is presented by Maker’s Mark & Stella Artois. The biggest Derby Party in Minnesota. The Greatest Two Minutes in Sports. 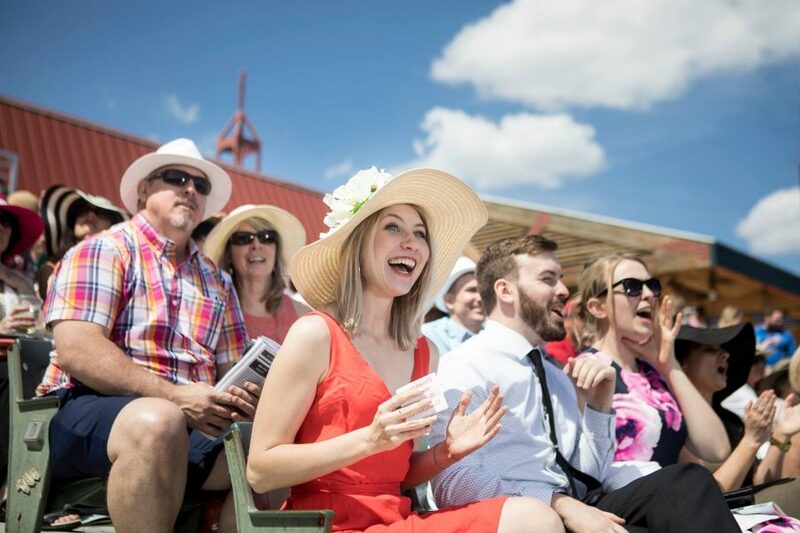 Join us Saturday, May 4 for live racing on the track, live music from Boogie Wonderland on the Mystic Lake® Music Stage and the excitement of the Kentucky Derby with thousands of fellow fans! Derby attire admired, not required. • Clubhouse Level Open: 8 a.m.
• First Canterbury race 12:45 p.m.
• Pony rides and face painting 12:30 p.m. – 4 p.m.
• Live simulcast of Kentucky Derby approx. 5:45 p.m.
Includes seating in the Triple Crown Suite for four, all inclusive with admission, valet, chef-inspired multi-course menu, champagne toast, complimentary drinks & more. Up to 4 people. Includes seating in the Triple Crown Restaurant for four, admission, buffet, food samples and two drinks. 4 people. Call 952-445-7223 ext. 3223 to reserve a Triple Crown Package or Champions Package.